I am totally new to longarm quilting (still in my meandering stage). 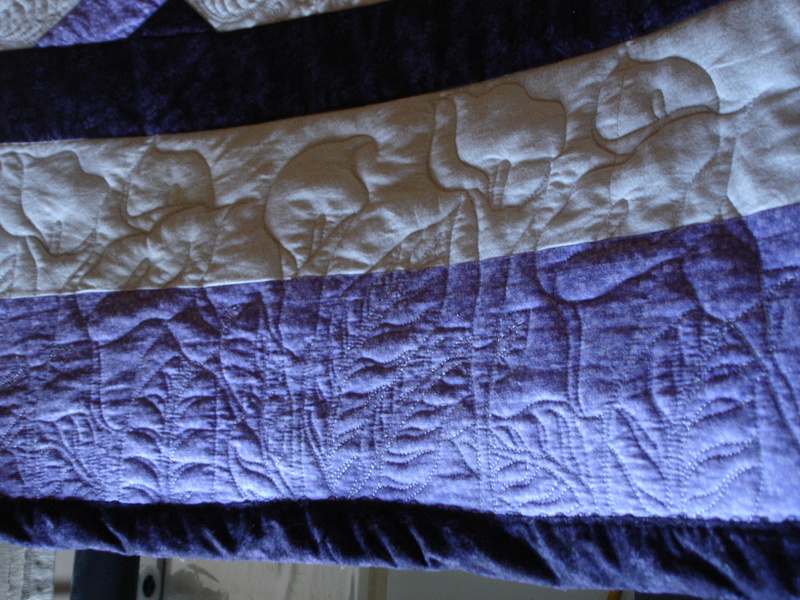 I have seen some BEAUTIFUL custom quilting (quilted very densely) but I have been wondering, what do these quilts look like after washing? Or are they intended to never be washed? After washing, can you still see the quilting designs? I would love to see a picture of a densely quilted quilt that has been washed. Densely Quilted - after washing? Not sure if this is dense enough for you but I did a lot of quilting especially in the squares on this T-shirt quilt that ended up being a queen size when done. I used a low-loft cotton batting and tried to do quilting in every square. I washed it already and it came out very soft and actually more puffy and cuddley. 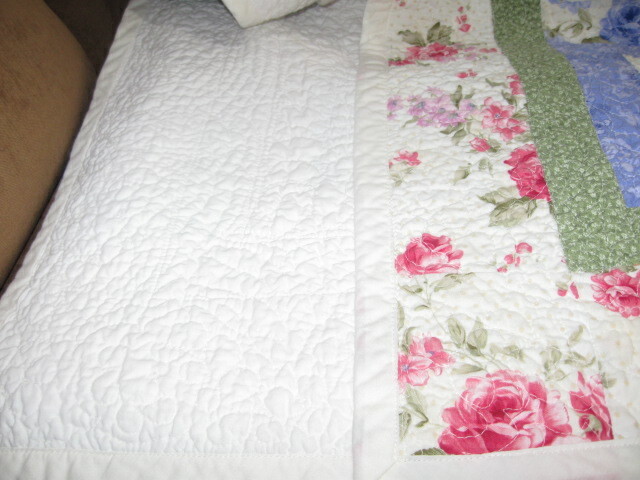 I would expect even densely quilted quilts would be more soft and cuddley after washing as well. I suppose it does depend on what the actual intentions are for the quilt. If it's meant to be a wall hanging then I would expect to press the quilt on the back after washing just to give it a very finished look. Otherwise, I would want it to look 'loved' and used. Yes, they still look great after washing, sometimes even better than before. Yes... dense quilting looks fine after washing. I find that it helps the over all life expectancy! I recently did a rather dense pantograph with wool batting. I guess it was the wool batting, but after washing, it crinkled so much that you really have to look hard to see the design. It kind of seems a shame to have taken the time to do a specific feathery pattern that you really can't see easily. I plan to try a less dense pantograph with wool batting when I finally get time to do another and see how that turns out. I like a quilt that has more dense stitches. (this is surprising to me) I've used lots of wool batts- my favorite batting---and all of them I've used do not shrink --anywhere near as much as a warm & natural batt shrinks- I think it was probably your fabric that shrank---did you prewash your fabrics? 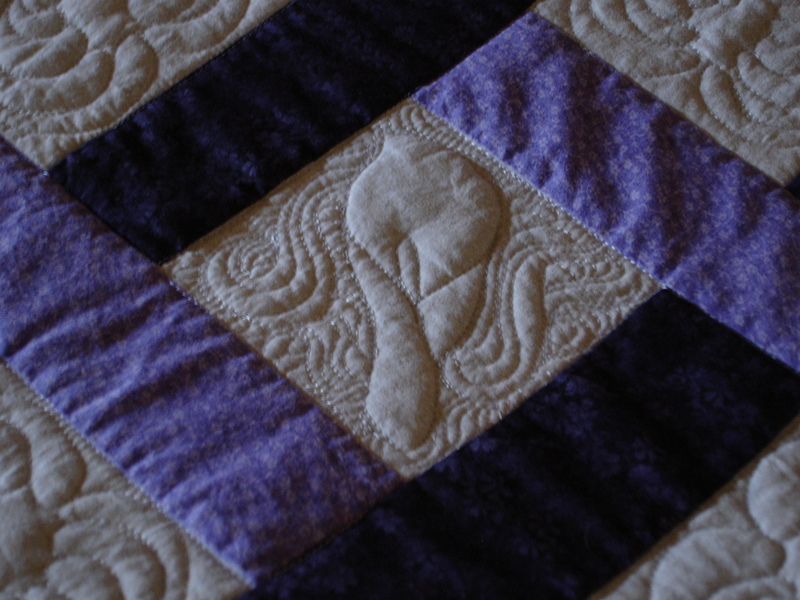 the quilt that lives on my bed in the summer time is a whole cloth with wool batting- lightweight, fabulous---the quilting stitches show wonderfully--I know some of the 'big name' quilters use wool batting in their show quilts because it shows the stitching so beautifully. I rarely prewash my fabrics and I'm sure I didn't for this one. Maybe that was the problem? The stitching was absolutely lovely before I washed it and I agree the wool batting made it show up so well. It's also softer and fluffier than my other quilts which are made with cotton batting. I'm still happy with the overall look, but yes, this one crinkled significantly more than normal. 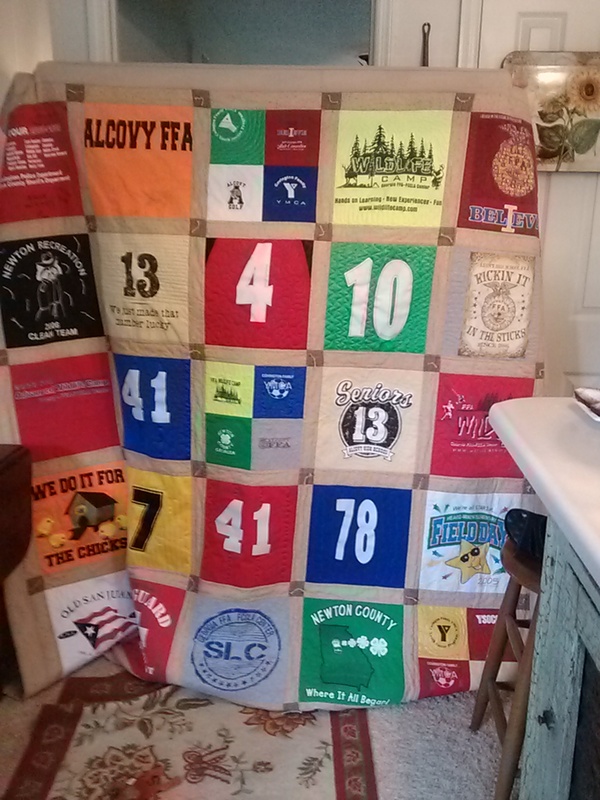 I only do a large FMQ and a few straight line quilting. I don't care for the heavily quilted look. I mostly use a high loft poly batting. If you are going to densely quilt I would not choose wool batting. I use Quilters Dream Wool when I want loft and warmth. If its quilted densely you will lose the look of the loft in your design. Also I think Quilters Dream wool shrinks the least of any wool batting. I'm still in the exploring and trying things out phase with my long arm, but I agree that if I do a more dense quilt pattern in the future, I'll probably try it with cotton. I do really like the look and feel of wool batting though, but I'll try it with a less dense quilting pattern. 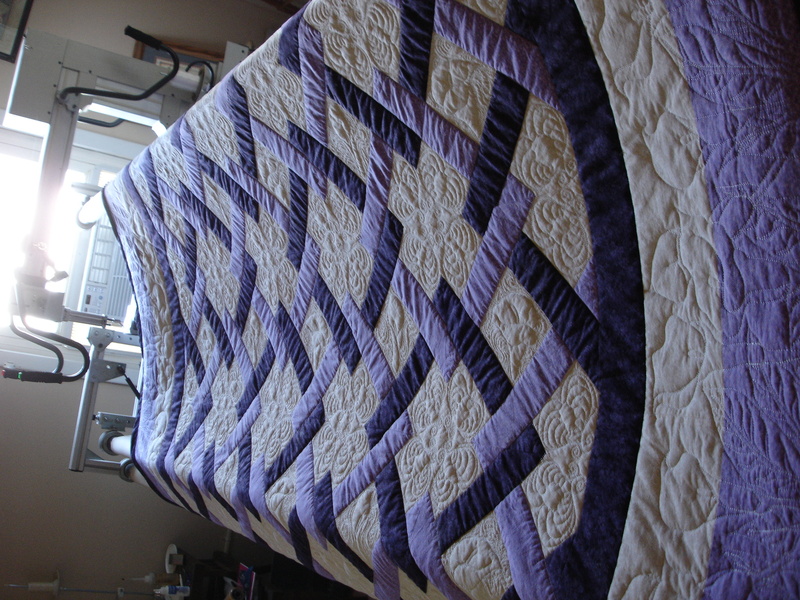 Here are some photos of a quilt with both dense and somewhat open quilting after washing. Batting was Fairfield 80/20 blend. IMHO the denser areas kept their definition much better than the open border areas. The border which seemed to lose some of its definition after washing, this quilt was done early on when I first started quilting. Probably around my 10th quilt or so. 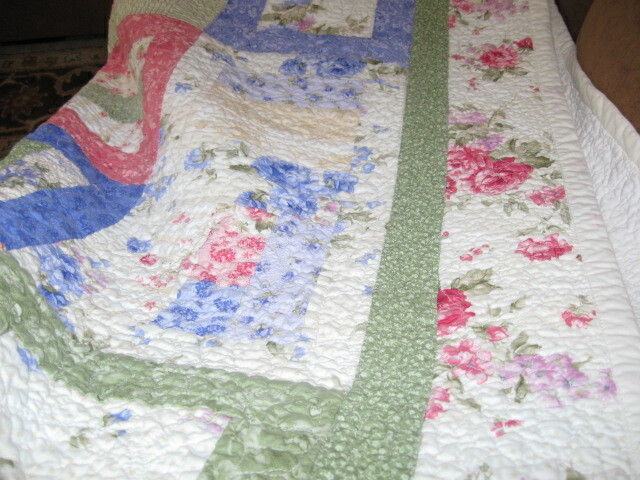 To make a quilt look "old" , some quilters do not prewash fabrics and deliberately choose a batting that will shrink. They wash when finished and the entire quilt and batting shrink, giving it a crinkley look that they want. its the wool batting....doesn't wool knitting shrinks into felting....I would think wool batting needs to be prewashed, doesn't it? Can you quilt that closely when the instructions say 4-10inches apart. Etc. ? Those recommendations mean that is the absolute least amount of quilting you can do for the batting to hold together and not migrate. So anything over that minimum is perfectly acceptable. Just depends on your tastes and what look you are trying to achieve. I can hardly see the pattern of my FMQ, but it is still pretty. I prewashed the fabric and used high quality 100% cotton batting. This is my second quilt, I wouldn't FMQ so close together next time. Last edited by debbiemarie; 07-17-2013 at 09:32 AM. I am not a fan of dense quilting. 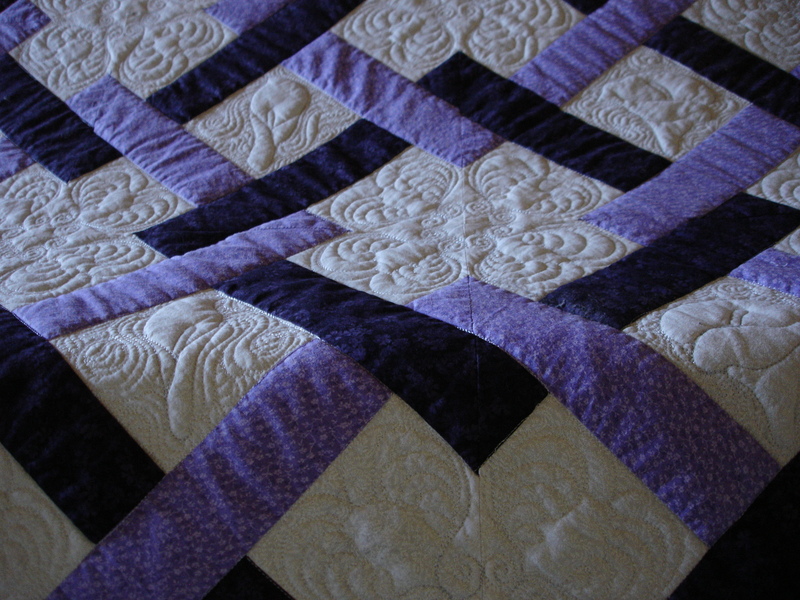 I feel that the quilting should compliment the quilt and not over power it. Also, the densely quilted pieces I have seen are too stiff for my liking. We must be neighbors -- I see the t-shirts referencing Newton Co, GA. I live in Rockdale Co.
Hi, wool batting will certainly shrink if it is washed in water that is too hot or it has been agitated too much. It is wise to treat a quilt with wool batting as you would a pure wool garment. Sometimes the scrim can help the batting from shrinking but I wouldn't depend on it . Last edited by fayby; 07-20-2013 at 04:18 PM.